Home » Blog » Should we have a Christmas party? Christmas parties are understandably dreaded by some employers – after all, who wants to remember how last Christmas your secretary tried to mount the photocopying machine, and your second in command fell asleep in the stationary cupboard? It may have put you off ever having one again. The chance of someone making a fool of themselves is huge; add to that the huge financial cost and your head is screaming, “Never again!” If you do decide to throw a Christmas party in London, it’s reluctantly – and if this is the case, it will certainly show in the kind of party you have. Is the annual Christmas party something you HAVE to do? No, you don’t have to have a Christmas party, but it’s really a thank you gesture to all your staff for their hard work over the past few months, whether that was bringing in that lucrative contract or giving up their tenth evening in a row to keep things ticking over. At the end of the year, your staff are exhausted and looking forward to a few days off over Christmas. But tell me: when you lay on the Christmas party for your employees, is it a little on the sparse side? Do you throw a few decorations here and there to show willing but not enough to hide the fact that you’ve not spent very much on it? Is the music listless and clichéd? It is a case of another round of Slade and Wizard, with Roy Wood’s enthusiastic tones of “I wish it could be Christmas every day,” which clearly you don’t agree with because, if you did, you wouldn’t have laid on this damp squib of a party in the first place. Do you really want the expense of having a party, when you could put the costs towards something else? Perhaps investing in a new photocopying machine or buying a new company car? But stop and think about it for a minute! A carefully prepared party can show how much you care about your staff and not only that – you should consider it an investment. I can guarantee that your staff will recognise how much you spent in terms of time and money and what’s more, they’ll remember it. So is it a good idea to lay on a good Christmas party for your staff? The answer is emphatically YES! If you invest in a good night out for your staff, it’ll pay dividends in the future. So what if they get a bit drunk? It is Christmas after all and you can afford a little Christmas cheer. Invest in your staff and they’ll show their appreciation in the coming 12 months. 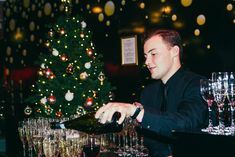 A carefully thought out Christmas event will give your staff an opportunity to let their hair down as well as show your gratefulness for all their hard work over the past year keeping YOUR Company afloat. Surely that is worth celebrating. Leave the Scrooge face and humbug mentality in the cloakroom and give your staff the party they deserve. It’s worth noting that not all employees celebrate Christmas or drink so good quality food and entertainment will definitely be appreciated by them and do try and keep away from at least a few of the overused Christmas clichés. Many clients now name the event ‘the end of the year party’. The great thing about hosting a fantastic party experience at a unique London venue like Madame Tussauds. 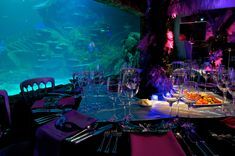 SEA LIFE London Aquarium or the London Dungeons is the cost really is not as big as you think it would be. Our all-inclusive packages start from £125 per person and promise to deliver a fun filled experience that will be well remembered by your employees. On the other hand, you could put two £50 notes into a card with a printed message. Your employees won’t feel particularly special and take a moment to think of all those envelopes you’ll need to lick. As companies try to keep wage demands under control to ensure global competitiveness, showing staff you appreciate and care about them should not be an afterthought – it should be a necessity! Most companies now have climate surveys and the CEO and management team are measured on this as much as they are on profits. You have been warned! If you need advice on celebrating success, please contact us. I am Michael Aldridge, General Manager of Events for Merlin Attractions in London, and with over twenty years’ of experience within the events industry, I can guide you through the challenges. You can also take a look at our perfect recipe for a Christmas party blog. So you tell me, is your end of year/Christmas party needed?